This is an IHRSA featured article, brought to you by SportsArt. 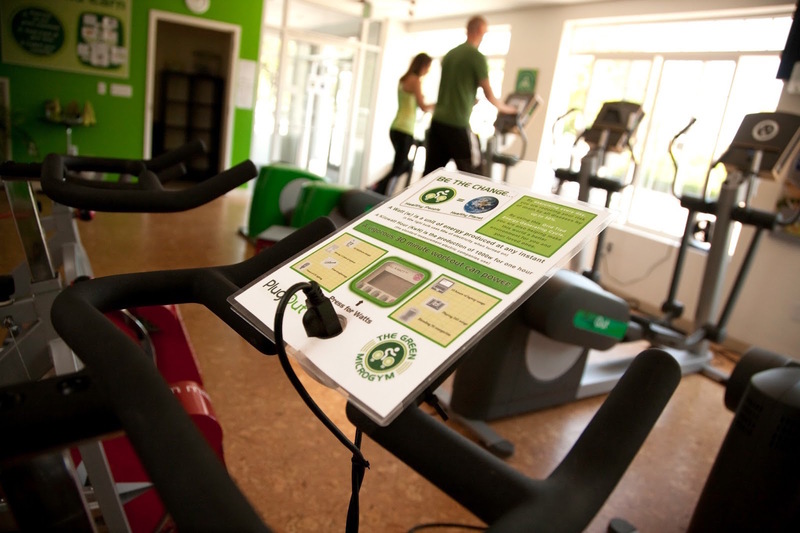 Costs and logistics have held back some club owners from going green, but creating a sustainable-energy gym is quickly becoming a winning strategy—especially with younger consumers. Sustainability has long been a goal of environmentalists around the world. But after years of warnings about climate change, increased energy costs, and surging consumer activism, “going green” is now a major corporate initiative. Over the last year, 25% of businesses have increased their commitment to green products and policies. This includes some of the word’s largest corporations. Recently, Wal-Mart announced Project Gigaton, a move toward reducing emissions in their supply chain to the amount of one gigaton. The concept of “doing well by doing good” has never been more relevant. It’s been a staple of the health club industry since its inception. Promoting health and fitness is a public good, and a natural result of successful fitness industry practices. Now, clubs are finding that the logistics of creating a truly sustainable health club are not just good for the environment, but good for business. Adam Boesel, who launched The Green Microgym nearly 10 years ago, is a pioneer in creating sustainable health clubs. Boesel may have been ahead of his time, but he believes that in today’s world, going green is becoming less of a preference and more of a necessity. It’s not only what consumers want—it’s become a cost imperative. The experts who track global consumption and the environmental effects of climate change agree. Going green may be the only affordable option for many businesses if future trends hold up. Market consequences from climate change are projected to be net-negative in most regions of the world, according to a report by the Organization for Economic Co-operation and Development (OECD). And, yes, that means health clubs, too. Consider the volatile winters and heavy storms that affect many regions today. According to reports, retail residential electricity rates have risen across the nation at a rate of about 4% on average over the last 10 years. No matter what the climate is doing, traditional energy costs will keep going up. 7% more baby boomers than the year before. This is a sentiment that crosses national borders. Paul Crane, director of Eco Gym in England, runs green health clubs in two locations (Brighton and Lancing), and has seen significant increases in membership and retention. Crane explains that he didn’t set out to start a sustainable revolution in the health club industry. “The Lancing facility was engineered to be more environmentally friendly and the plan evolved from there,” said Crane. So what steps can you take to start your green transformation? Adam Zellner, president of Greener By Design, a company that helps businesses in sustainable planning, spoke at IHRSA 2018 and offered the following tips on how to be a more energy-efficient club. Initiate smart water programs. Installing low-flow toilets, showerheads, and faucets (or aerators) can save 2.5 gallons of water per minute. Adopt grey water recycling systems. Put in solar installations on roof, ground, or canopy. Regularly maintain current HVAC system. Add fans to supplement or reduce AC loads. Your state or city may have generous programs for energy-saving operational improvements. These can defray costs in a big way. Select mats, barbells, and other equipment from recycled products. If you have nutrition services, encourage organic and paleo meal plans. Choose energy efficient cardio equipment. If possible, obtain machines that don’t use external power. Zellner points out that 45 minutes on a non-electric machine can save 0.8 kWh of energy, the same as running 7 miles. No external power? You heard right. That’s the specialty of SportsArt, the undisputed industry leader in energy-efficient exercise equipment. SportsArt’s ECO-POWR technology captures 74% of energy per workout, which is then fed back to the electrical grid. To have a membership that pays you to power your electrical grid is an appealing business model for small and large operators. Crane credits much of his success in his franchise launch to his partnership with SportsArt. His club was the first one to use ECO-POWR in England, and he says their equipment has saved him thousands of dollars per year in energy costs, while creating an exciting experience for his members. Part of the success of SportsArt’s concept is the quality and versatility of their sustainable-energy machines. The Verde is a treadmill that offers a wide spectrum of training possibilities for all fitness levels, from jogging to sled-pushing. It has advanced slat-belts, braking systems, and multiple resistance levels, and can generate 200 watts/hour of energy, despite being decked out with a state-of-the-art LCD screen. 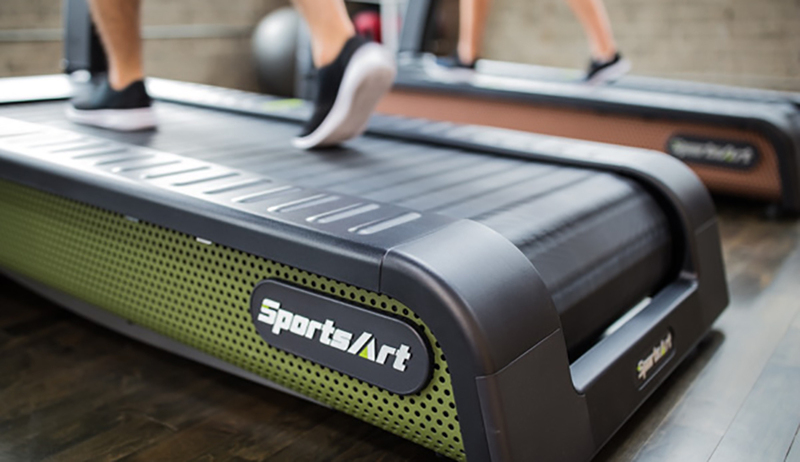 SportsArt has a wide range of other equipment armed with their latest innovative energy-generating patents, including the Verso, a three-in-one cross-trainer that accommodates elliptical, stepper, and cycle movements with the same energy-creating function as the Verde. To learn how SportsArt can bring the green revolution to your club, visit their website or call 800-709-1400.